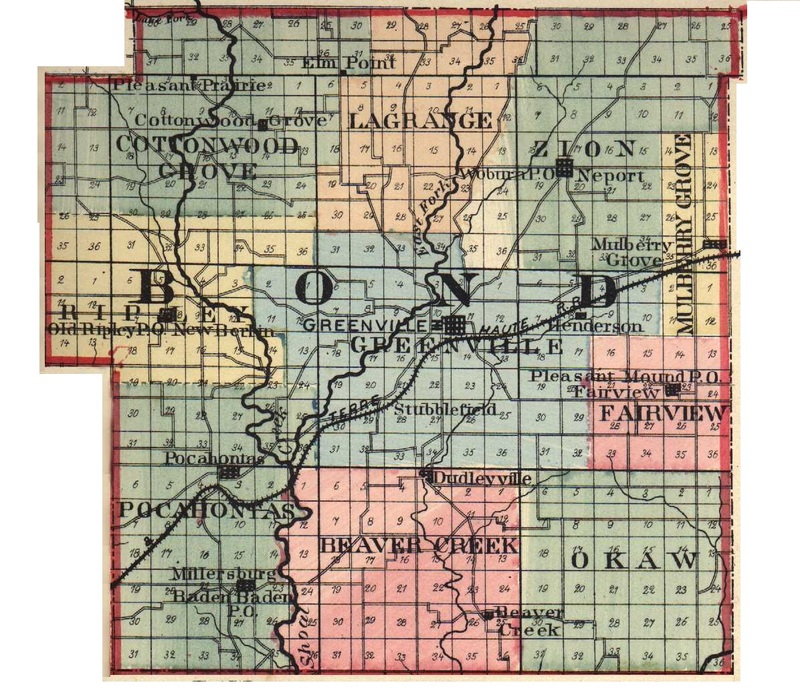 As a type of the wide-awake, progressive and enterprising Illinois business man no better example could be found than Erwin Davis Fox, of Keyesport, who deals in general merchandise, hardware, farming implements and lumber, and has also been called to high positions of honor and trust by his fellow townsmen, who have recognized and appreciated his natural abilities. During the years that Mr. Fox has been identified with the business interests of Keyesport he has displayed those characteristics of industry, integrity and progressiveness that are bound to have a beneficent effect on the commercial activities of any community, and as a public official has brought those same characteristics into play, with the result that he won the admiration not only of those who have belonged to his own party, but of his opponents as well. Mr. Fox is a native Illinoisan, having been born at Hilesburg, Fayette county, August 12, 1878, a son of Julius C. and Maria (Bourner) Fox. Julius C. Fox was born June 12, 1837, in the Kingdom of Prussia, Germany, and in his native village attended the public schools, after leaving which he entered the University of Berlin, being graduated with the degree of Doctor of Medicine. On coming to America, in 1860, he located first in Cincinnati, Ohio, where he took a course in English, and eventually went to Indiana, in which state he practiced his profession for a short time. After following the same line of endeavor at Pleasant Mound, Illinois, for about seven years, Dr. Fox came to Keyesport, and after a short term of practice moved to a farm in Fayette county, where his family grew up. He then retired from active life and moved back to Keyesport, where he lived quietly until his death, in 1905, while his widow still survives him and makes her home in this city. She is the daughter of James Wellington Bourner, an Englishman, and has been the mother of four children, as follows: Hermann; Pauline, who married Russell Duloma; Erwin Davis; and Edith. Dr. Fox was a stanch and active Republican in his political views, and served in various offices within the gift of his fellow citizens. Erwin Davis Fox spent his early life on the Fayette county farm, and until he was sixteen years of age attended the country schools of that vicinity and the public school's of Keyesport. He was married in June, 1898, to Miss Jessie Davis, daughter of John M. Davis, a native of Wales and one of the earliest residents of Keyesport, where he was engaged in the general merchandise business until his death, in 1903. During the Civil war Mr. Davis served four years and four months, as sergeant of company I, Illinois Volunteer Infantry, under General Logan, and had an admirable war record. Mr. and Mrs. Fox have had two children: Shubert and Erwin Davis, Jr.
After his marriage Mr. Fox was engaged in clerking for one year for his father-in-law, and after Mr. Davis' death he carried on the business for several years. Eventually he sold out and purchased the stock and business of William Langham, and under his management it has grown to be one of the largest business concerns in Clinton county. His ability to discern opportunities, and then to grasp and make the most of them, has made his name familiar in the business world of Southern Illinois, but he always recognizes the rights of others and his dealings with his fellow men have been without a blemish. He has been prominent fraternally for some years as a member of the Odd Fellows and the Modern Woodmen of America, in both of which he is extremely popular. It is, perhaps, as a public man that Mr. Fox has come most favorably into the notice of his fellow-citizens, for his prominence is remarkable when it is considered that is a Republican in a strong Democratic county. This, however, has only proved his popularity and the confidence in which he is held, confidence that he has shown to be not misplaced by his admirable administration as mayor, treasurer and postmaster of Keyesport. He is known as one of the leaders of his party in this part of the state, and has served on both the County and State Republican Central Committees. Extracted 10 Nov 2018 by Norma Hass from 1912 History of Southern Illinois, by George W. Smith, volume 3, pages 1320-1321.